Two upsets leave the Lower Bracket looking stacked heading into Day Four. Even after showing some shakiness in their Group Stage performance, Team Secret came ready to play in the opening round of The Chongqing Major playoffs. 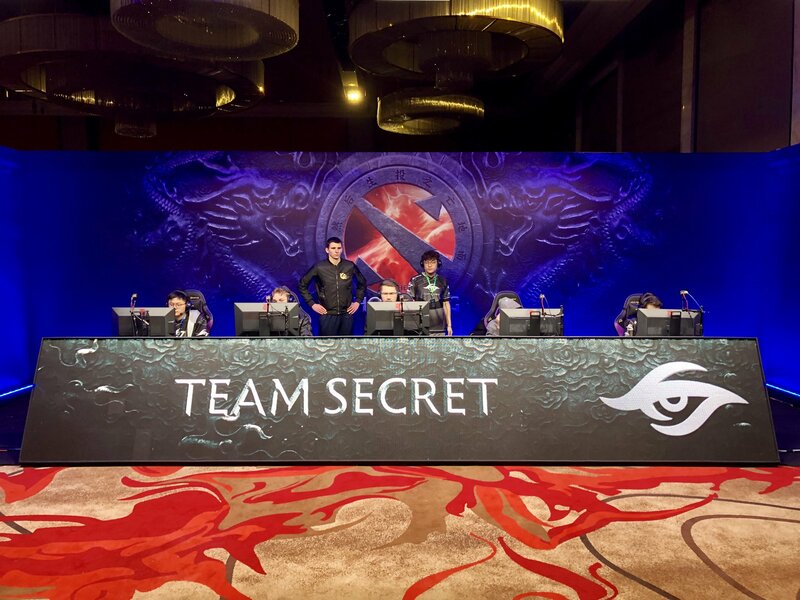 Secret took on the patched-up Team Liquid roster who came out and surprised everyone with their solid play in groups in the first series of the day, but outside factors kept Liquid from looking their best. As the matches began, it was clear from the start Liquid still wasn’t meshing together as a unit. Game one saw them trying to push the tempo and play a style that they aren’t known for being proficient in. Secret took advantage of that misstep and took their opponents to task. They executed well across the board and finished things up to take a convincing win and the 1-0 lead. Following that, Secret kept the momentum running into game two. They again controlled almost every aspect of the game, not rushing anything as they amassed a sizable lead before striking the finishing blow that sent Liquid down into the Lower Bracket. The aforementioned outside factors that hurt Liquid in this series were in regards to their stand-in player, Chu “shadow” Zeyu. The legendary player talked briefly on his Weibo page before the competition began about having severe diarrhea and vomiting since waking up. And though he showed up for his matches, he was taken to a local hospital immediately following the final game, where he was diagnosed with a case of acute gastroenteritis—better known as a stomach flu. There has been no further word on his condition but if things go well shadow should be back in time to compete in their next match on Jan. 23 when they play the winner of TNC Predators and Team Aster. On the same side of the bracket, Fnatic faced off against EHOME in an intense battle between contenders. Despite being the higher seed in this matchup, EHOME was not that big of an underdog, and they proved why from the start. The flawless run Fnatic had been on was stopped cold as EHOME systematically dominated them in game one. It was still a competitive ordeal, but a 36-26 K/D and 7-3 structure advantage in 40 minutes didn’t make Fnatic’s chances in the series look good. But those chances dramatically improved after they essentially knocked EHOME out in game two. After getting picked apart over 40 minutes, Fnatic fired back by steamrolling EHOME in 18 minutes to even things up 1-1. That dominating performance didn’t lead to much else as the Chinese team bounced back and knocked Fnatic into Lower Bracket. Those two upsets are just the start of the playoff action, which continues Jan. 21 at 8pm CT when Alliance and Chaos Esports Club start off the fourth day of competition.